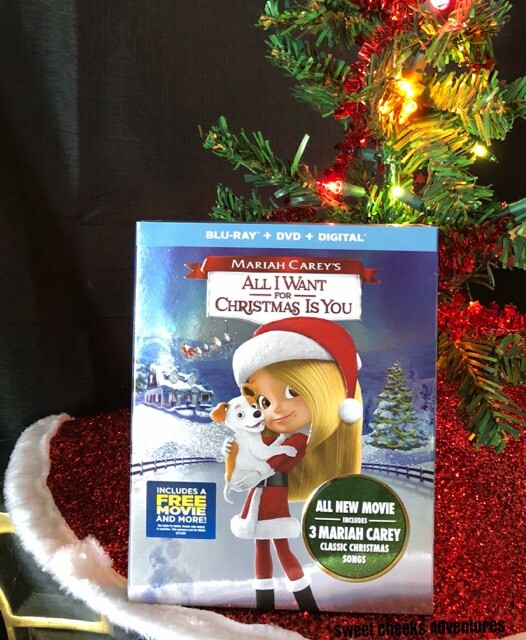 Sweet Cheeks Adventures: Mariah Carey's All I Want for Christmas is You on DVD! Mariah Carey's All I Want for Christmas is You on DVD! I received a copy of this title for exchange of my opinion. All opinions are my own. Mariah Carey's All I Want for Christmas is You, the all new movie is a really great addition to this year's holiday season! With a star studded cast of voices, mothers and daughters will fall in love with this title. I know Ally and I sure did. I have loved Mariah Carey's single All I want for Christmas is You for years! It was my ringtone for many years at Christmas time. For them to take this idea and make it into a movie, that sits perfect with me! 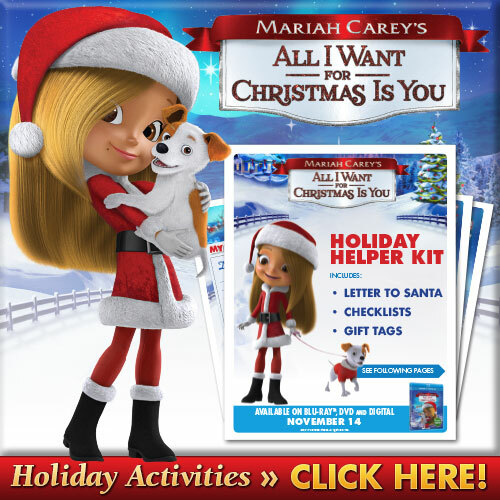 The film centers on young Mariah, a little girl who dreams of getting a dog for Christmas year after year. This Christmas her dream is fueled after seeing a puppy named Princess at the local pet store. To see if she's ready for the responsibility, Mariah is tasked with dog-sitting her uncle's crazy canine Jack, who upends the family's holiday preparations with his various shenanigans. Grab a copy of All I Want for Christmas is You. You'll have fun singing along and sharing this title with your family. Pick up your copy at your local retailer!